The best examples of Soviet architecture were built in the first 30 years of the USSR's existence. It was in this period that Moscow was adorned with the futuristic Shukhov Tower, the pompous Hotel Moscow and seven slender Stalinist skyscrapers. RBTH presents a guide to the Russian capital’s key buildings from the dawn of Soviet architecture. The Soviet government considered radio broadcasting to be the best propaganda tool in an illiterate country, so Russia's main radio tower had to look impressive. Shukhov's hyperboloid structures, which at that time had been popular at international exhibitions, looked very futuristic, exactly like Soviet propaganda art. These structures were perfect for "heavy" constructions such as a radio tower - they permitted the tower to be large-scale and at the same time not seem overloaded. 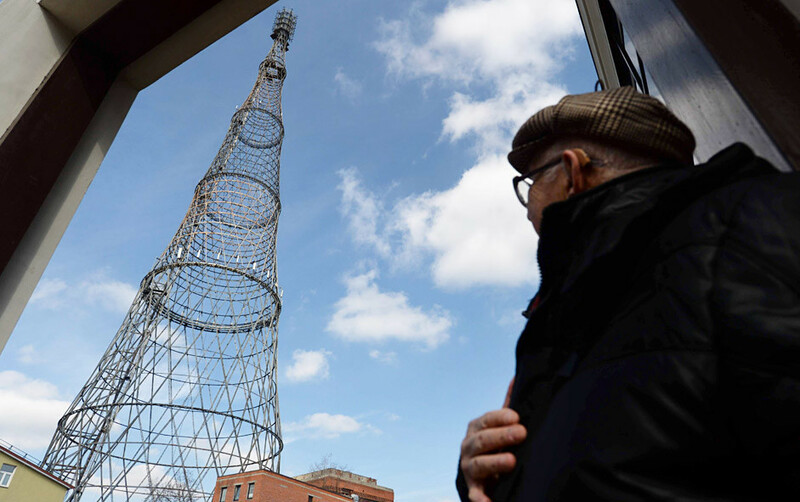 And so Moscow received the Shukhov Tower: a wonder of engineering and the symbol of Soviet radio (and subsequently television). Architect Konstantin Melnikov had thought of constructing a cylindrical building while participating in the competition to build the Zuyev House of Culture. Although Melnikov did not win the competition, he did not abandon his plan and continued to develop and refine it. 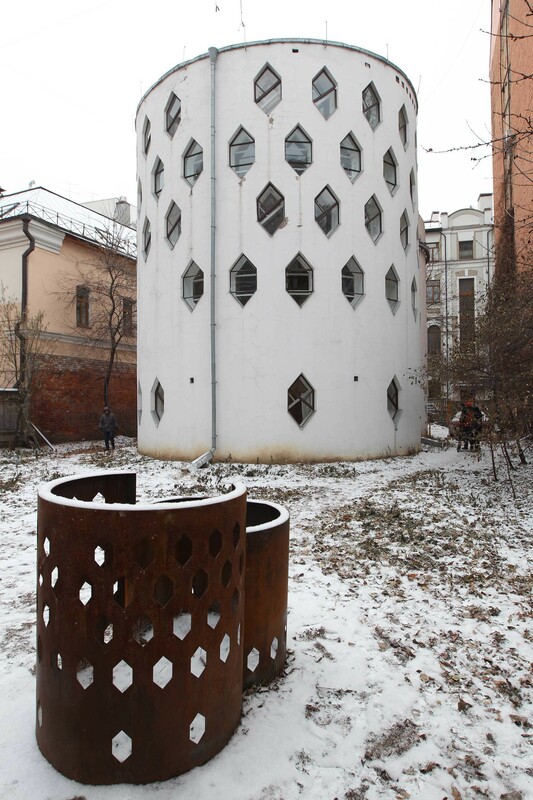 And so the private Melnikov House acquired the form of two blended cylinders. The ideology of the early USSR refuted everything private and demanded that architecture represent only collective interests. In the case of the Melnikov House this aspiration acquired grotesque forms. The architect planned a single bedroom for all the family members in which they turned into a "group of sleeping people." Even though Melnikov always emphasized that his project strictly adhered to the functionality principle of Soviet architecture, Muscovites called the cylindrical building with its hexagonal windows "a residential bourgeois cell." Melnikov had always wanted his house to become a museum, and eventually it did, though its inauguration was postponed due to litigation between his heirs. But in December 2014 the Melnikov House opened to the public. Le Corbusier is a master of world architecture who created the contemporary canon of office building design and was captivated by the Soviet construction boom of the 1930s. The Swiss-French architect participated and, of course, won the competition for the Consumer Societies Association building in Moscow. In the enormous office building on Myasnitskaya Street the architect used all five of the “departure points of modern architecture,” the principles according to which office buildings are still built today. These principles include using concrete supporting pillars, flat roof terraces, a minimum of interior walls and bands of large windows. For the average Soviet citizen, such an approach was apparently too progressive. Muscovites did not like the bulky building on its concrete "struts" with a minimalistic façade. The poet Osip Mandelstam wrote about it with irony: "Not even with a light shadow will I enter/The crystal palaces standing on chicken legs." At the beginning of the 1920s, the location near the Kremlin where the Hotel Moskva currently stands was earmarked by the authorities for the construction of the Palace of Labor, a structure with enormous glass and concrete cubes, connected by an auditorium in the form of an ellipse. Work on the palace was quickly abandoned due to the costs and complexity of the project. It was decided to build a hotel instead - a more traditional but no smaller building. 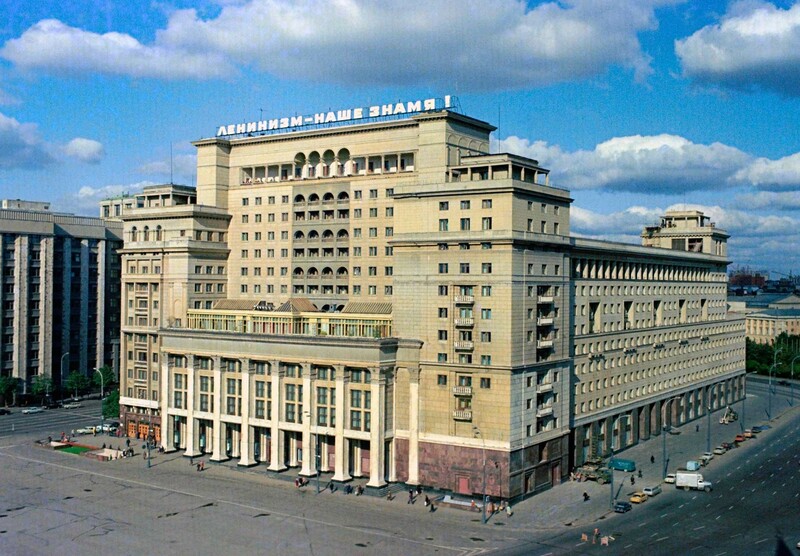 Under Shchusev's supervision the Hotel Moskva was built in a pompous and grandiose style that was soon to become the dominant architectural style of the next two decades. Columns, arches and decorative balustrades emphasized Soviet architecture's link with ancient traditions. This enormous exhibition center in the north of Moscow was built so that the Soviet citizen or tourist could admire the achievements of the country's agriculture and industry. Half of the center's 70 pavilions were created in Stalinist Empire style. Featuring columns, spires, statues and fountains, they embody the best traditions of totalitarian architecture. Pavilion No. 32, built in 1939, is especially impressive. 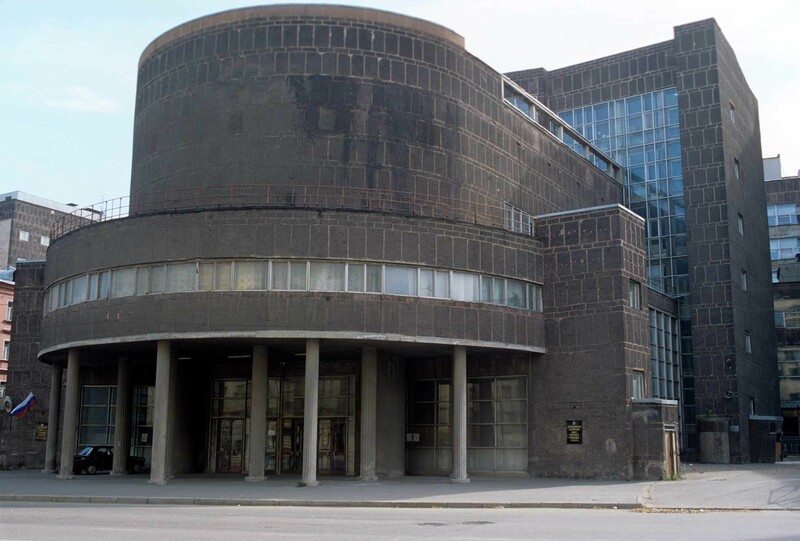 Initially it was called "Mashinostroyenie" (Mechanical Engineering) and looked like a hangar with a glass roof. Its interior decoration resembled a Mesopotamian shrine, where instead of statues of gods and heroes stood statues of a mechanic and a female tractor driver. In the 1950s a building with a glass dome was added to the pavilion, whose net-like structure resembles the Shukhov Tower. The pavilion was later named Cosmos and a copy of the Vostok rocket, the one that launched Yuri Gagarin into space, was placed on the square in front of it. 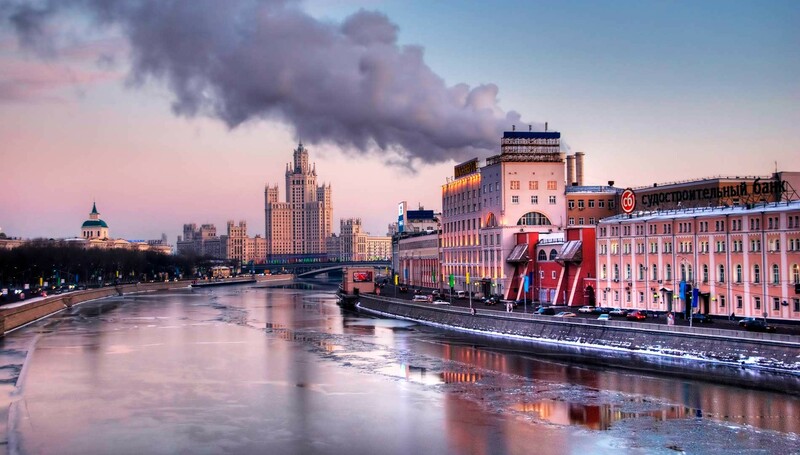 The center of Moscow is framed, from various sides, by the famous Stalinist skyscrapers known as the Seven Sisters: the Moscow State University building, three residential buildings, two hotels and the Foreign Affairs Ministry. Initially there was supposed to be only one skyscraper in Moscow - and it had to be awe-inspiring. 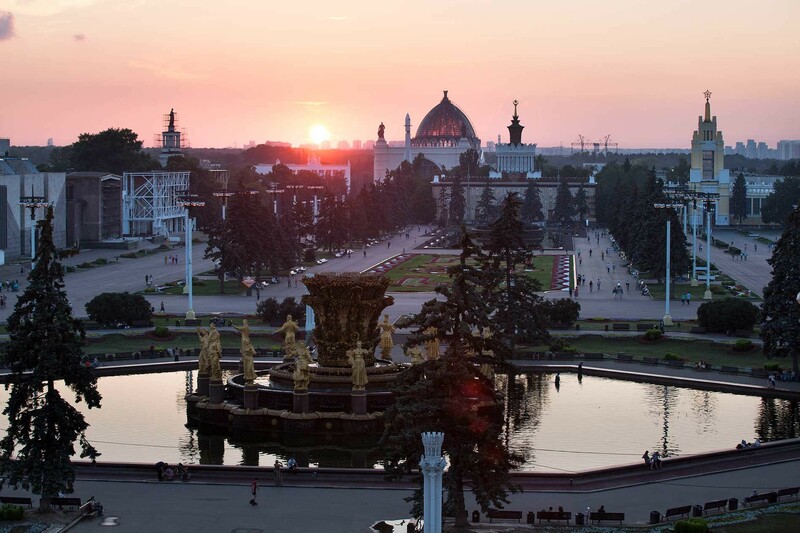 The project of the Kremlin Palace of Congresses, an enormous 500-meter-high ziggurat with a statue of Lenin on top, was abandoned because of the war. The metallic frames that had been prepared for it were literally melted into so-called Czech hedgehogs, a type of anti-tank defense structure. After the war the project dissolved into seven separate buildings resembling each other in form. In these buildings Stalinist architecture finally found its style, one that combined world trends in monumentality (the outlines of the Seven Sisters are similar to the Empire State Building, for example) while evoking ancient cultures. With the ornaments, columns and the skyscrapers' overall shapes the architects wished to emphasize Soviet architecture's continuity of building traditions in the ancient Eastern, Indian and Chinese cultures.